This amazing 3D zipper to split your face wide open applies with water and stays on all night. Edges blend into your skin for super realistic gore! 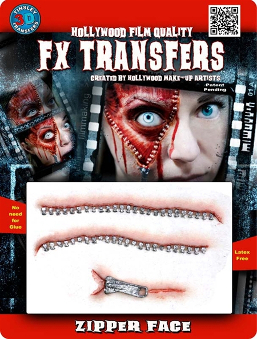 Movie Quality 3D transfer created by Hollywood FX artists. Other face paint and blood sold separately.